The Osoyoos Rural Water Irrigation Systems 8 and 9 will shut down starting on Monday, October 15, 2018. 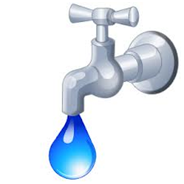 An application and payment for extension of water service until Wednesday, October 31, 2018 should be made at Town Hall (8707 Main Street). The deadline for late water submissions is Friday, October 12, 2018 at 4:00 pm.